Coach Murphy has been involved in the sport of rowing since he walked onto Iona College’s crew in 1981. In the midst of a successful collegiate sweep career that included a Dad Vail bronze medal in the Varsity 4+ he began sculling for the New York Athletic Club. His post-collegiate career saw him win multiple USRowing Club National championships and featured two Olympic trials: 1988 in the 2x and 1992 in the 1x. 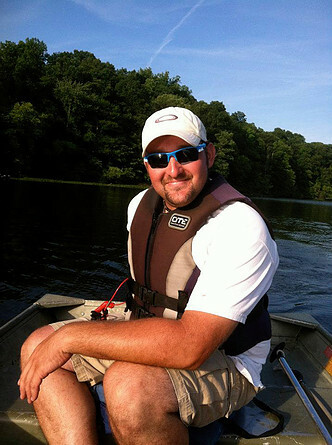 After hanging up his sculls, he began coaching collegiately. In 1998 he returned to his alma mater for a six-year stint that included coaching both men and women and resulted in a Dad Vail finalist crew and back-to-back victories in the men’s varsity 8 at the Metropolitan Intercollegiate Rowing Association championships. At the club/pre-elite level, Coach Murphy began working with the New York Athletic Club as a men’s assistant and became the Men’s Head Coach in 2004. Over the next 9 years, his crews won 100+ medals, over 40 gold, at the USRowing Club and Elite National championships and the Royal Canadian Henley Regatta. In 2011 he coached the NYAC lightweight 4- that won the Pan Am trials and represented the United States at the 16th Pan American Games in Guadalajara, Mexico. A long-time IBM employee, Kevin relocated to Fairfax with his patient, school-teacher wife and family in 2013. Three older sons became two former D1 rowers and one former D1 track athlete. His daughter is now a proud Robinson Ram. My name is Matthew Petty, and my rowing career started as a freshman at West Springfield High School. It was my privilege to have made the varsity boat after freshman year. Spending the next three years on the starboard 3 and 5 seat, I was named to the All Virginia teams as a junior and senior with times in the 6:30s. Setting high goals, our boat placed second at both the VASRA state championships and NCASRA championships. My high school rowing career ended with a personal 2k record of 6:21 (1:35.2 500m split) and selection to the 2003 All-Met team. Still having a love and passion for the sport of rowing, and wanting to give back and help others succeed, I started coaching at West Springfield as an assistant freshman boys coach in 2004. In 2010, I had the opportunity to move up to a head coaching job, and spent the next six years coaching the West Springfield varsity boys. My experience also includes coaching the NVRC masters and juniors from 2006-2013. In Fall 2013, I co-founded Resilient Rowing Club and coach the competitive boys’ teams in the summer and fall. I am excited to start the newest chapter in my coaching career as the Robinson boys’ head coach and varsity coach for the 2017 season. Kim Griffin started her rowing career at Robinson Secondary School in Fall 2007, and completed all four years as a varsity letter winner. In 2008, she helped lead the 2nd 8 boat to a 2nd-place finish at the 2008 Virginia Scholastic Rowing Championship. Kim was a member of the junior women 4+ that finished 2nd place in the 2009 Canadian National Championship. Kim stroked the 1st 8 boat to a 1st-place finish in the 2010 Virginia Scholastic Rowing Championship. Also that year, Kim and her boat were named the 2010 Spring All-Met 1st 8 boat. Kim was a two-year co-captain from 2009-2011, and in 2011 she received the Ram Booster Club Girls Crew award. 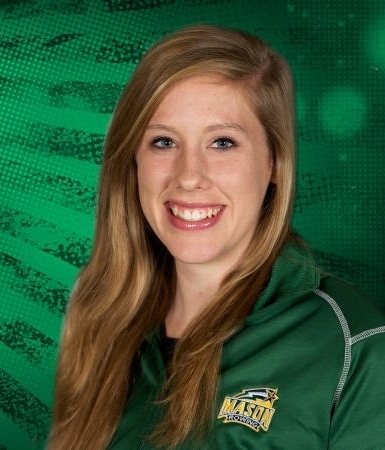 After high school, Kim continued her rowing career with a full scholarship at George Mason University. There she was a member of the 1st varsity 8 boat. In Fall 2011, Kim helped the varsity 8 to a 1st place finish at the Occoquan Chase in seven seat and a 2nd place finish in the Novice 4. Kim also helped the 1st 8 boat to a 4th place finish at the Head of the Charles in Cambridge, MA. She captured 1st place at the Head of the Occoquan, also with the 1st 8. Kim was selected as captain of her rowing team in 2014-2015. Kim is currently finishing up her last year as an undergrad at George Mason University, majoring in Elementary Education. This will be Kim’s second year coaching the Robinson novice girl’s rowing team.